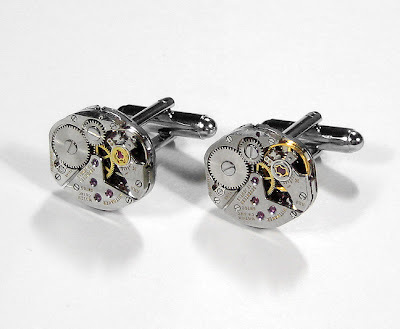 I've bought several pairs of cufflinks from watch-cufflinks.com, and I have to say I'm extremely pleased with what I received. 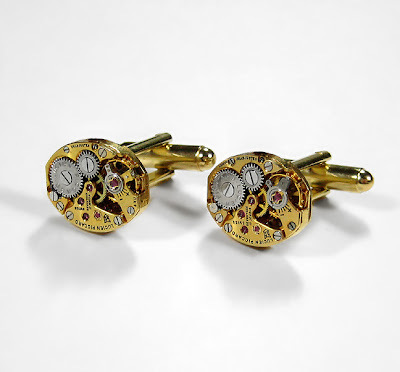 The intricate gearwork and design of the pieces are so finely detailed and present an unconventional and still classy image at the same time. 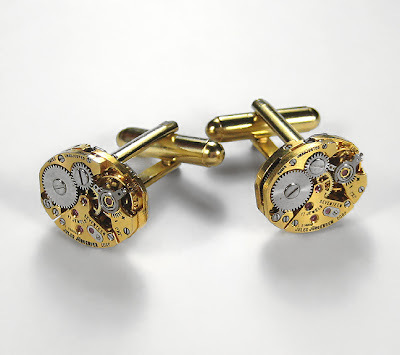 My favorites are the "Elgin Bold Rectangle" and "Elgin Large Rectangular Vertically Mounted Cufflinks." Check them out, you won't be sorry!! 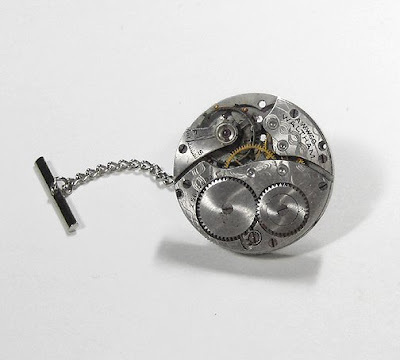 Looks very sophisticated, like James Bond's gadget. I don't know what's your purpose of asking, but its inappropriate and I don't enjoy such questions for following reasons. 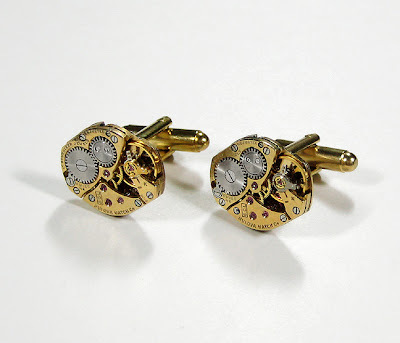 1) You are bringing an off topic question from the original post; Watch Cufflinks. 2) The rep vs hom issue had been debated many, many times in many, many places. This blog has no interest in such debates. 3) Davidsen's business is his own. I don't judge people I don't know. 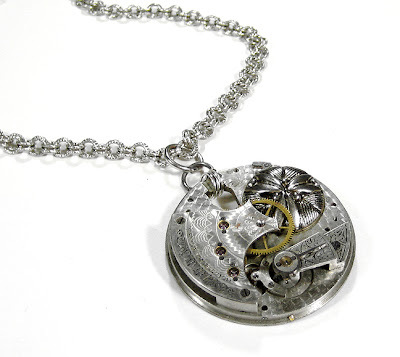 The link I provided is to his homage watch business. 4) Again, I am not interested in discussing another individual's deeds, who am I to care? And I certainly don't discuss it with someone anonymous either. Davidsen's business is his own. I did a review of the watch he made. 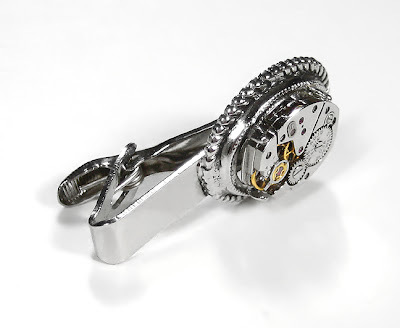 I done reviews of MANY OTHER WATCHES too and I post my reviews on many watch forums. The Marina Militare watch is just one of these reviews. If you want to crusade against replicas, salutes to you. I am sure there are many replica forums and circles out there for you to champion your noble cause. Why pick my blog? 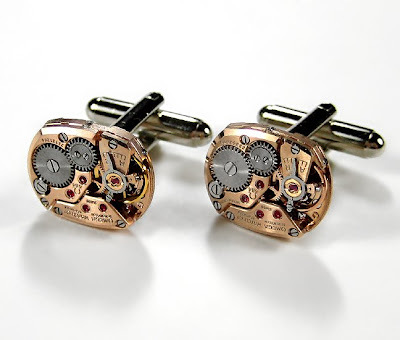 If you merely want to discuss the rep vs hom topic, you should had emailed me instead, and not taking your crusade to my post on watch movement cufflinks. 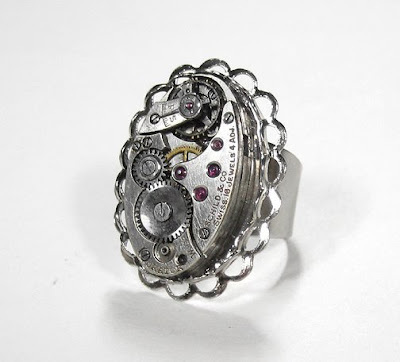 Very sophisticated pieces of jewelry, they sure make an original present. 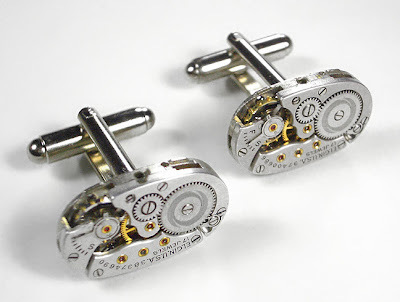 I am mechanical engineer student and Cufflinks Lover so there is no chance to unlike your cufflink blog...!! !